If you ever find yourself dealing with rusted and stuck bolts you will appreciate a cordless ratchet by your side. Even better, if you need to reach a tight spot just to fasten a bolt, whether repairing your car or dealing with heavy machinery at work, a quality cordless ratchet will come in handy. We have spent hours researching for the best cordless ratchets 2018 you will find out there to save you from hours of research. Our list entails the top brands and we have also included a buyer’s guide to help you make a choice at the end. The kit includes one M12 battery, a 30-minute charger, a 3/8" to 1/4" adapter and carrying case. What is the Best Cordless Ratchet in April, 2019? Milwaukee 2457-21 3/8 inch 35 Ft-Lbs 4.2 pounds Check price! Ingersoll Rand R1130-K1 3/8 inch 30 Ft-Lbs 2.11 pounds Check price! VonHaus 15/145US 3/8 inch 35 Ft-Lbs 2.9 pounds Check price! Bressanon 43239-83210 3/8 inch 35 Ft-Lbs 4.4 pounds Check price! ACDelco ARW1201 3/8 inch 57 Ft-Lbs 2.65 pounds Check price! Milwaukee 2456-21 1/4 inch 30 Ft-Lbs 4.6 pounds Check price! Ingersoll Rand R1120 1/4 inch 30 Ft-Lbs 2.15 pounds Check price! Milwaukee is a top brand that does one thing well and that is to make durable and reliable tools. With the Milwaukee 2457-21, it is clear that this tool manufacturer puts performance top of mind. The Milwaukee 2457-21 comes with a locking mechanism that lets you break loose even the tightest bolts. You can use the ratcheting head to manually loosen fasteners quickly and eventually remove them with the cordless electric ratchet. It has an impressive battery life not to mention a powerful torque of up to 50 ft-lbs. The Milwaukee 2457-21 works well if you need a cordless ratchet kit for daily use. 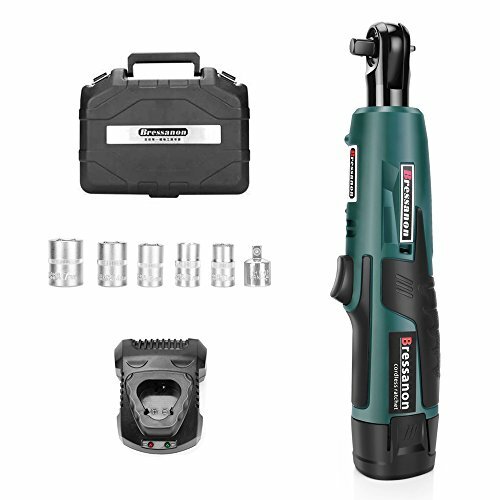 The kit includes a high torque impact wrench that is powered by a long-lasting battery that comes with a charger making it ideal for most DIYers on the go. Since its founding in 1905, Ingersoll Rand has been one of the leading manufacturers inspiring progress in the power tool industry. The company produces quality tools such as the Ingersoll Rand R1130-K1 that allow for a variety of grip techniques and a variable speed paddle trigger. Designed with a strong and polished aluminum housing, this cordless ratchet kit delivers durability that can be put through the paces to withstand wear and tear even with chemical damage. The compact and durable motor delivers a 30 ft lbs of torque with the option for manual mode as well. To put it simply, this is a solid pick for mechanics and DIYers looking for a cordless ratchet that will fit well into tight space while handling heavy duty tasks. It comes with a slim battery design that gives this cordless ratchet an overall compact look. When it comes to control, it works well to give you the right grip while you are working. VonHaus is popular among DIYers for its wide collection of tools. 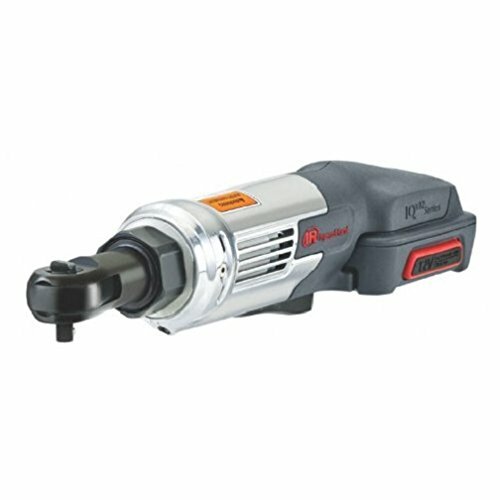 With the VonHaus 15/145US, this manufacturer ensures that you get a powerful 3/8 inch cordless ratchet that is capable of a maximum torque of 35ft-lbs. Impressive right? If that does not impress you yet, you will love the fact that it also comes with a superior fastening speed of 280rpm for the best control. 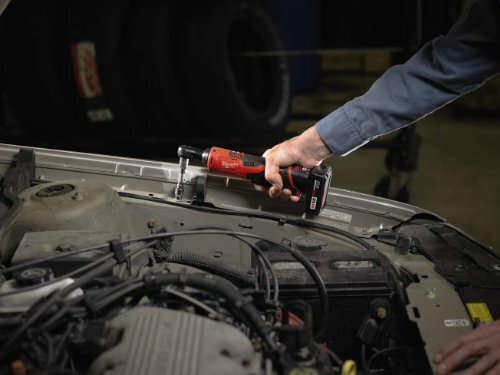 The 12V lithium-ion battery does a good job to hold in the power while at work and thanks to an intuitive built-in communication system, the cordless ratchet wrench delivers optimal performance even after long hours of usage. You might be tired of using mechanical ratchets and looking for an affordable ratchet wrench that will make your work significantly easier. If that is the case, the VonHaus 15/145US makes a solid choice. Not only does it offer a decent grip for working on tight space, it boasts of a powerful torque performance at an affordable price. Are you looking for a cordless ratchet that gives you exceptional performance for many years? Well if so, grabbing the Bressanon 43239-83210 makes total sense. Here is why. It comes with a carrying case that makes it easy to store and move around with. In fact, its 2000mAh lithium-ion battery is a quick charge battery meaning you only need about an hour to get it charged up to full capacity before a task. This cordless ratchet set comes witha up to 5 different wrench sockets with a 3/8 inch adaptor sleeve that does a great job especially if you need to work on small tight spaces. In terms of performance, you get up to 35 ft lbs of torque with this cordless ratchet and the 12-volt motor comes with a powerful motor that delivers a fastening speed of up to 220 RPM. 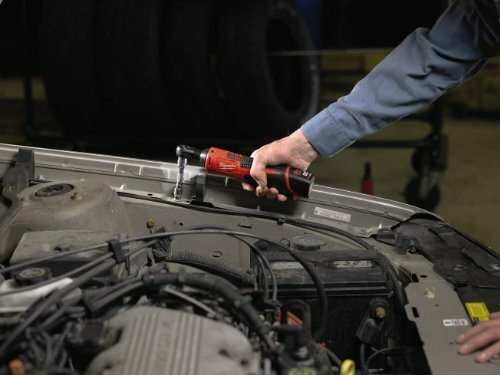 To put it simply this cordless ratchet wrench can easily shorten the time it takes for you to change your car’s control arm and have it work like a charm once again. 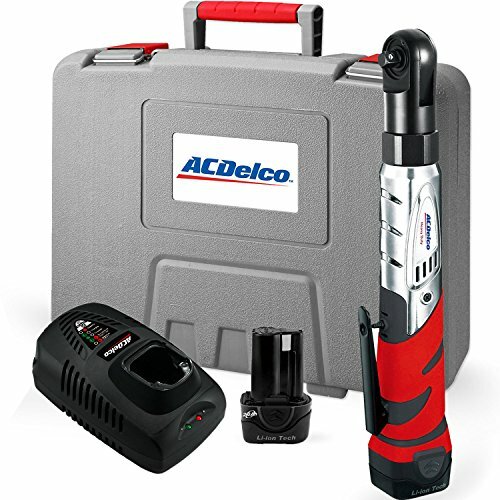 Although slightly pricey, the ACDelco ARW1201 boasts of a generous set of features that make it a must-have for most DIYers and Mechanics. To begin with, it is ergonomically designed to work in tight spaces and comes in a package that includes 2 lithium-ion batteries for your convenience. As if that is not enough, this 3/8 ratchet wrench tool set comes with an anti-slip soft grip for comfort while at work and you also get an electric brake switch that gives you even more control while working. When it comes to performance, the ACDelco ARW1201 brings about an impressive performance at 57 ft-lbs proving it can hold its end even for heavy-duty tasks. It is fitted with a mechanical torque adjustment locking device that gives you precise torque control even in confined spaces. Though it’s highly priced, you get a solid toolset that is built to last. ACDelco Cordless 12V Heavy Duty 3/8 Ratchet Wrench Tool Set with 2 Li-ion Batteries and Charger Kit, ARW1201, Durofix Inc.
Milwaukee does it again with the Milwaukee 2456-21 and for that reason, it deserves another spot on our list. Not only does it offer a long-lasting battery life, this cordless ratchet delivers impressive fastening speed at 250 RPM as well. In terms of torque performance, you can expect it to handle up to 30 ft-lbs of torque which is nothing to sneeze at. Furthermore, the variable speed trigger gives a decent amount of control making it a solid investment for any mechanic or DIYer. 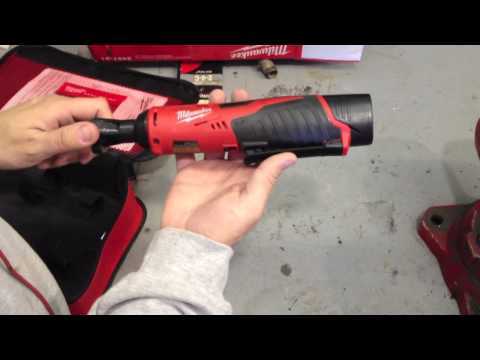 Whether you are just working on your dash or simply repairing some small issues at the hood of your car, the one tool that would get you out of a rut as fast as possible is a cordless ratchet such as the Milwaukee 2456-21. It presents a decent grip not to mention an intelligent REDLINK trademark technology that enables it to deliver optimal performance. There are however a couple of downsides to looking out for. This cordless ratchet comes with a mechanical rotating switch instead of a pedal switch for reveres and forward fastening. This can be a bit of a drawback for some users. In addition, it’s pretty pricey especially for the hobbyist looking for a simple tool to work with at home. To wrap up our list is the ¼ inch Ingersoll Rand R1120. It’s a solid cordless ratchet wrench for those looking for a tool to work with on a daily basis. The kit includes a battery and charger for your convenience. Built with a compact durable metal design, this tool will last for a long lifetime which is great. You also get to use it in tight areas thanks to Ingersoll’s patent-pending slimline battery. The torque performance for this cordless ratchet is exactly what most DIYers and mechanics go for when looking to do some small repairs. The compact design makes it a convenient tool to have while working in tightly confined areas and even if you need to remove a splash guard with bolts that are stuck, you can save yourself some time with the speed that this cordless wrench provides. The only problem is that the girth is a little too big for those with smaller hands. Are you a wrenching lover? Well if you are, the one thing that you know you should have is a cordless ratchet wrench. Compared to other tools, cordless ratchet wrenches stand out for their compact build that allows you to reach just about any bolt. Since they are run by battery power, you can move around with them however you want. 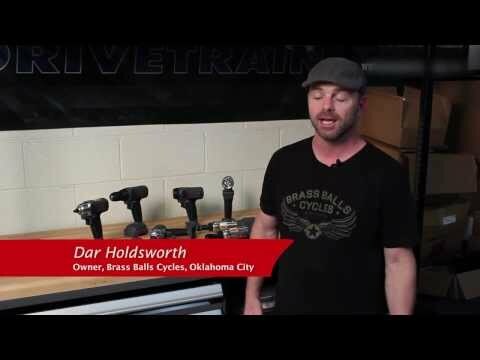 So, what are the most important things to look out for when choosing a cordless ratchet wrench? Well here are a couple of considerations to keep in mind before making a purchase. The Torque capacity determines the power that the wrench has in turning and fastening the bolts and nuts. With torque of about 30ft-lbs and above, you can pretty much handle any kind of heavy duty tasks. However, to be on the safe side, go with a torque of 50ft-lbs if you are a mechanic working on heavy duty tasks on a daily basis. The build quality of the cordless ratchet wrench also counts a lot if you are going for top performance. Would it be a good idea to replace your cordless ratchet almost every year? Am guessing not. That is why you need a long lasting durable machine. Besides, some of the best cordless ratchets are not cheap and therefore it makes total sense to consider the material it’s made of. Some of the most popular cordless ratchets are made of aluminum or magnesium to command the expected durability that mechanics have become accustomed to. 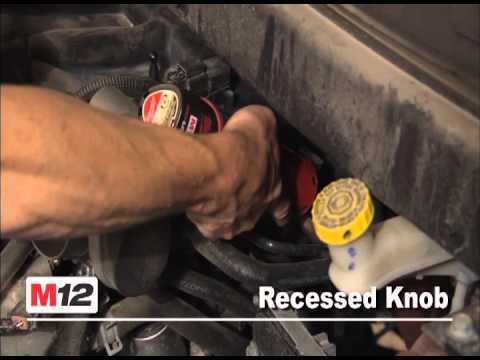 Additionally, you can go with a ratchet with a brushless motor or a metal transmission to get the best results. Unlike past models, nowadays most cordless ratchet motors offer a decent amount of speed since the advent of more powerful batteries. 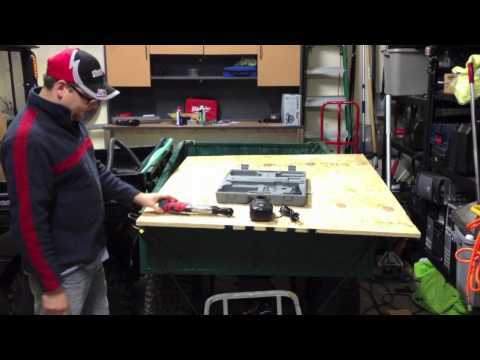 Most common batteries you will find a range between 12 v and 30 v. These two versions are well capable e of delivering enough power for a 30 to 50 ft-lbs of torque. Keep in mind however that more speed results in more battery drainage. If you want to pick up a speedy model that will help you breeze through your work, the best option you have is to go with a battery that has a powerful lifespan. Well, it goes without saying that cordless ratchets work best if they are lightweight, slim and compact. This is because anyone going for a cordless ratchet is planning to move around a lot so portability comes top of mind. After all, a bulky tool will simply feel uncomfortable in your hand and if you have small hands, a thick ratchet wrench simply won’t work well. What do we suggest? Well, we have found that the best cordless ratchet wrenches are streamlined with compact builds that are about 12 inches to 14 inches long. In terms of weight, you can go for about 3 pounds to be on the safe side. The last thing you need is to cut back on safety just to save some dollars. Needless to say, safety is one of the most important considerations while buying any kind of tools. To be on the safe side look for a low profile head design with a safety reset an LED lighting for illuminating dark areas and an aluminum or steel housing that is well reinforced to prevent any parts from falling off. Also be sure to check if the trigger switch is easy to use or if it has a safety lockout mechanism. Last but not least you need to think about the price. Basically, you get what you pay for when it comes to cordless ratchets. Some come in a set that includes a battery in the package while other cordless ratchets require that you buy a battery and a charger separately. If you are on a tight budget, there are still a good number of cordless ratchets that deliver great performance for small maintenance and repair tasks. However, we found that the best option is to spend a considerable amount on the high performers since they offer more durability in the long run. Obviously, there are a lot of manufactures in the power tool business. However, all through our list, we have looked at a couple of brands that stand out. 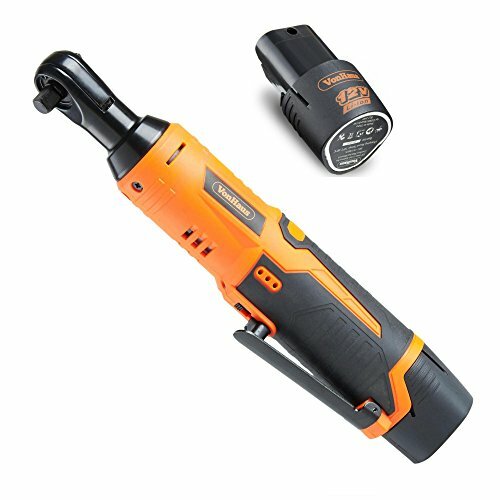 Throughout our research, we have identified that these manufacturers are not only popular but also boast of a reputation for making quality cordless ratchets. Whether you are dealing with rusted bolts or other types of heavy machinery, making a choice between a cordless ratchet or a cordless impact driver can be tough. In most cases, both tools will help you out of a situation where you need to fasten or tighten something. However, both can be super useful in specific situations. For instance, a cordless ratchet is great for getting into tightly confined spaces and since some even come with an LED light, you can easily, therefore, see what you are doing. On the other hand, an impact driver works nicely for removing pan bolts. So, it depends on the task at hand. Obviously, if you want speed, maneuverability, and portability, the best option is to go with a cordless battery powered electric ratchet. However, you will need an extra pair of batteries or constant charging if you plan on working for long hours on a task. That is what air ratchets are good for. With air ratchets, however, you will have to sacrifice maneuverability. Well, there you have it. Now you have all you need to make an informed decision on what cordless ratchet to go for. Be sure to take a look at our buyer’s guide for in-depth information on the best features plus pick one of our listed cordless ratchets to guarantee performance and value for your money.